What's old is new again!!! As I was sewing the last of my Churn Dash blocks I suddenly realised I had actually done this all before!!! Years & years ago I had made a few "test pattern" blocks following Roberta Horton's book, "Calico and Beyond. " 1986. I had so much fun that I kept going & ended up with enough blocks to make a lovely quilt. 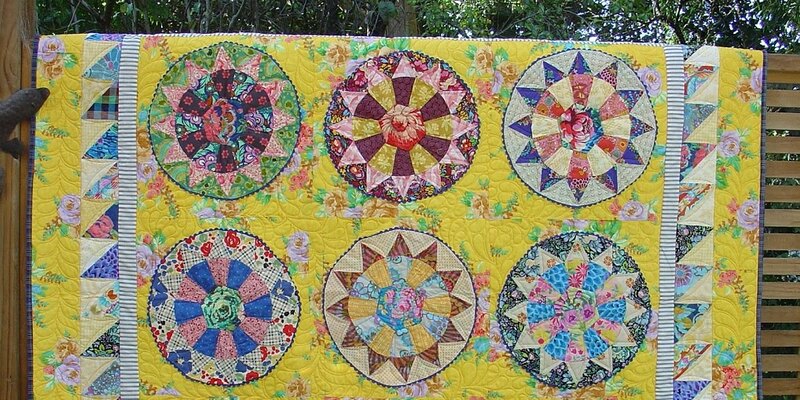 Then, it was an Eight Pointed Star quilt, now it's the Churn Dash quilt. While using mainly low volume fabrics, I did try to have one or two fabrics that were a bit darker just to give a bit of depth, and I used a variety of scrap fabrics old & new, and I didn't worry about placement value. In this pic thou' I must admit my blocks do look quite similer - late afternoon light I guess!!! but all laid out on the family room floor, there is actually quite an interesting play with the scrappy lights & light- ers!!! I will keep reshuffling the blocks around until I'm happy with the overall look. Over the years my darling mother -in -law gave me material. Most of it was from her skirts/blouses, etc and sadly was usually not something I found v. easy to put into my quilts. Once she passed away, we were sorting thru' her things and I found a large piece of fabric that had obviously been something once, but she had unpicked it and it was in a pile with other fabrics in her spare room. It was v. vintage looking, with lovely blues & greens. It had a graduated pattern comprising of flowers that were densly clustered along the middle of it with one end in light floral sprig, and a herringbone sort of check at the other end. I have always loved looking at the quilts from Gee's Bend & been inspired by the idea of using what you had. I have some days off at present and decided I would try something quite out of my usual comfort zone. I did make a few rules........ use fabrics from my stash/ use mainly solids/ be "free" in terms of piecing/ make something of a practical size/ and, if it doesn't fit - make it!!!!!!! 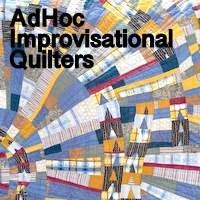 so my only real problem now is - how to quilt it?!?!?!?!?!? I am juggling quite a few quilt ideas at the moment, mainly in my head mind you!!!! Really, really want to start the Marcelle Medallion Quilt from my new Liberty Love book, as I have quite a few liberties left over still from another project. However, I have decided to be v. sensible & finish off a few things first before I start anything new. So I got super busy !! I'm trying to keep it all low volume, and am finding the challenge to not have quite the usual contrast between block & background alot of fun. After seaching, I found a few special feedsack pieces that I had purchased ages ago, and will include some of them in too. All in all, a good days work!! So now can I start something new?!?!??!?! ?